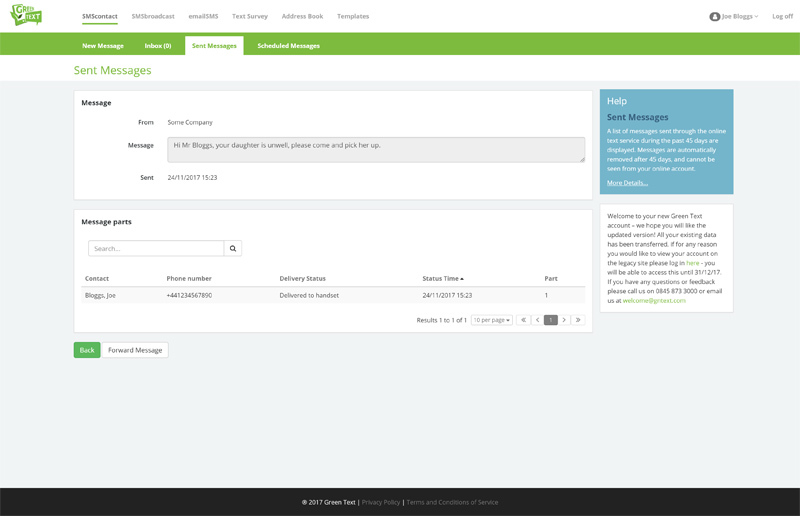 With SMScontact you are able to send SMS text messages to existing contacts that you have created and stored within your online address book(s). Download valuable reports of all messages sent and received! With Green Text, we have a simple approach for sending your texts online. Send text messages to contacts that you have created and stored within your online address books. Create any number of address book groups and then add your contacts & groups manually, or upload them in bulk. 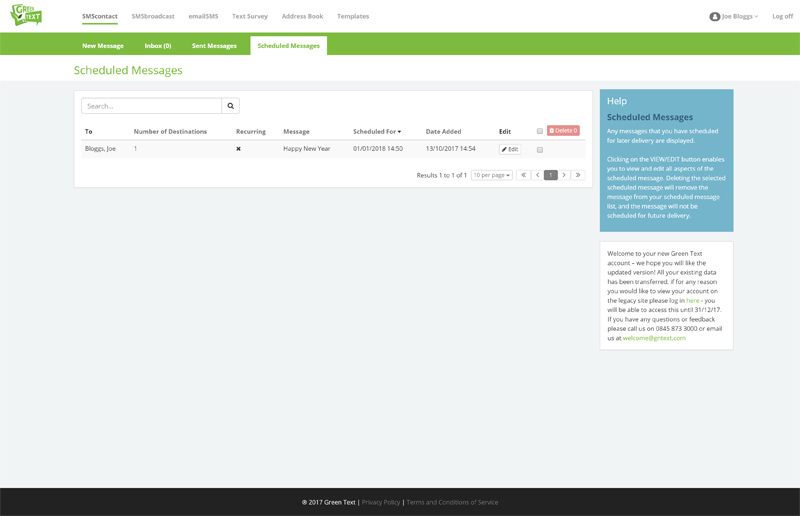 Additionally you can create time saving templates of Text messages you would send regularly. Address books and templates can be shared, if you wish within your organisation, with any number of individuals added to the account. 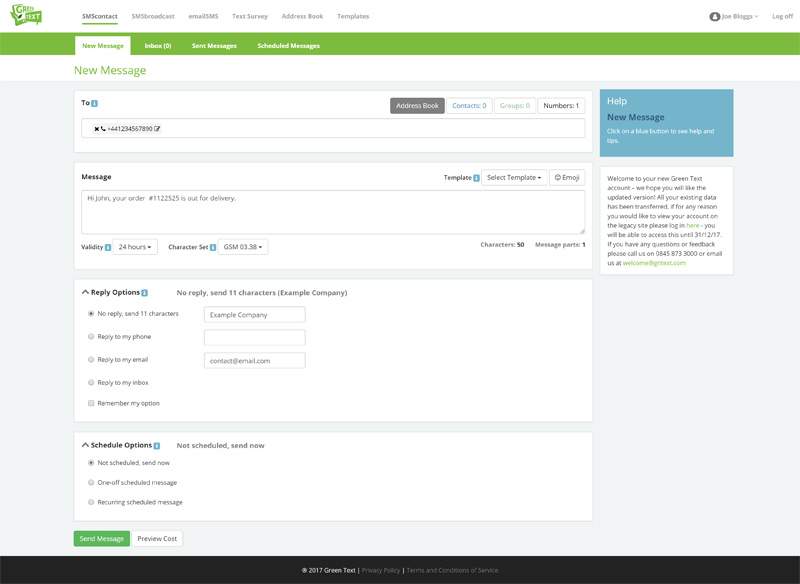 When you are ready using SMScontact, simply select the text message recipient, enter the message content, next chose a reply method or you can send the text with your company name (by selecting what’s called Sender ID). Then either send the message or schedule it for later delivery.